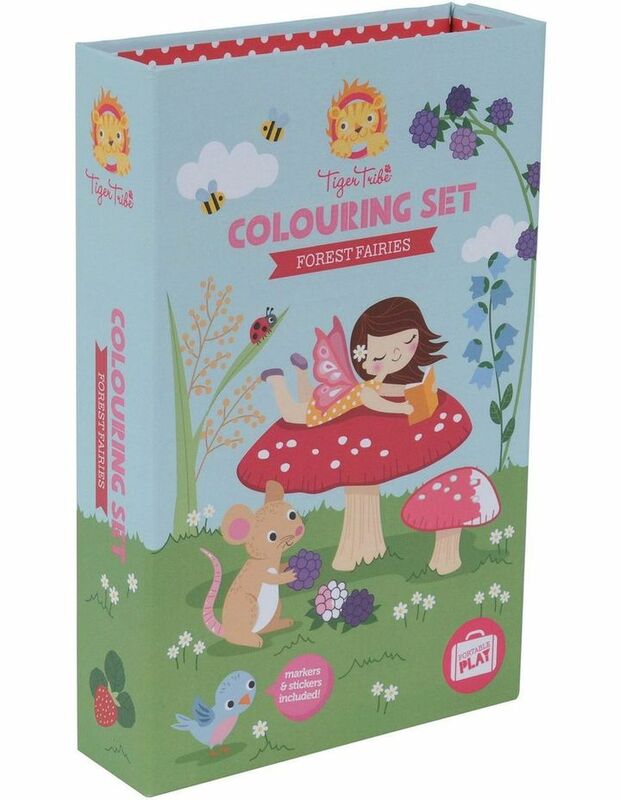 These beautifully illustrated colouring sets are jam-packed with activities, coloured markers and stickers. 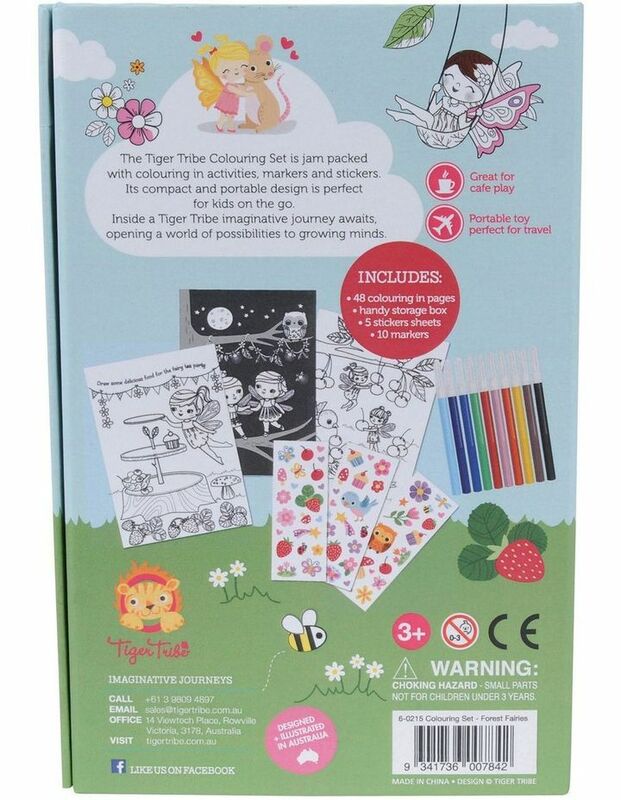 All designed to keep tigers happy on the go. 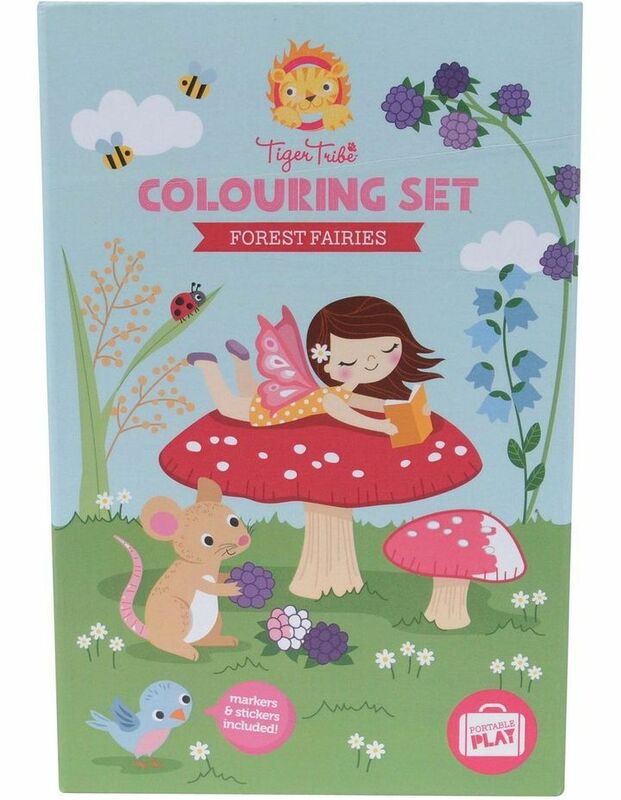 Explore, colour and decorate all the gorgeous fairies and creatures of the enchanted forest with Tiger Tribe's colouring set. 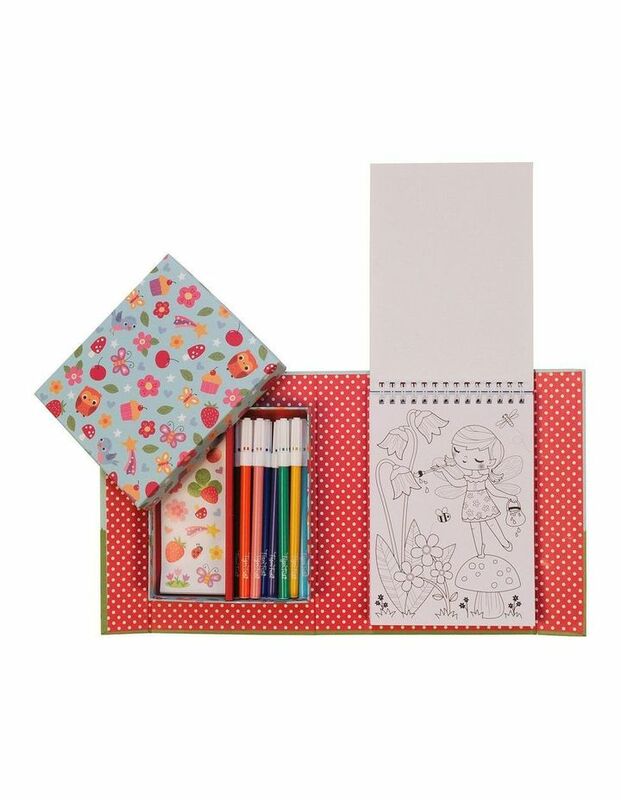 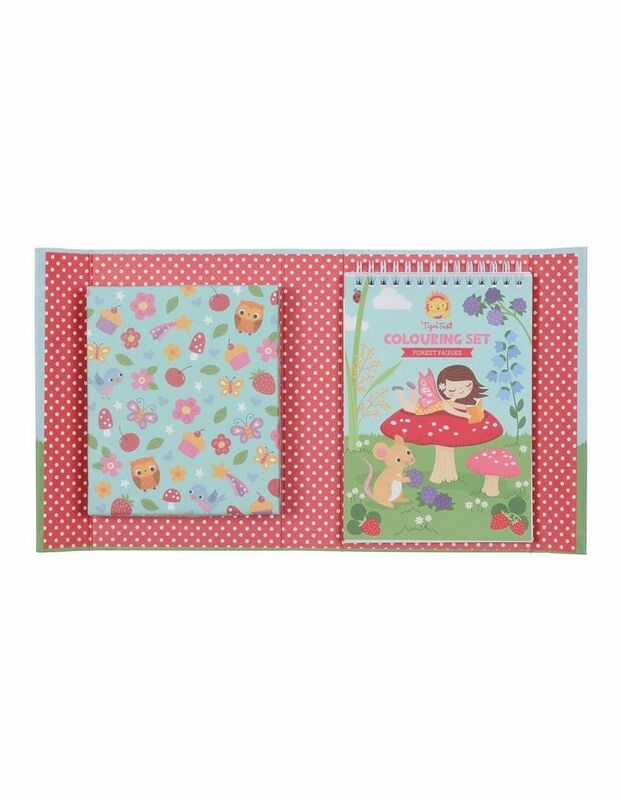 Each set contains: 48 colouring-in pages, 2 handy storage drawers, 5 sheets of gorgeous full-colour stickers and 10 quality markers.